It was COLD but the vintage was HOT! 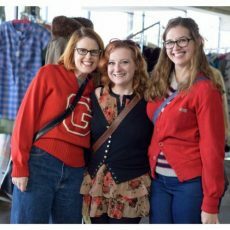 It was great to be back for the April season opener at Vintage Garage 2018. The dealers bundled up and weren’t afraid to bring it. I’m constantly amazed how many love the Garage. We couldn’t do it without you and we thank you.